Shortly after 9 p.m., more than 15 hours into the 100-kilometer Tarawera Ultramarathon on the lush North Island of New Zealand, Paul Charteris ran silently yet steadily toward the final aid station. Head down, stride shortened, his heavyset six-foot, three-inch frame hunched forward while his arms swung and hands clutched a pair of water bottles. His slack jaw and furrowed brow transformed his normally smiling mouth and merry eyes into a mask of exhaustion and determination. Like many runners in the crowd, Charteris wore a red shirt that said High Five-O Challenge, a signal of his support for a challenge initiated by his friend Malcolm Law to raise money for the Mental Health Foundation of New Zealand by running 50 mountain marathons in 50 days. Over the past year, Charteris had become more open about his personal struggle with depression and his passion for the cause of mental health, so the t-shirt perhaps had a deeper meaning than mere support of his friend’s project. He had a little more than three miles left to complete an odyssey that was much longer and more arduous than the 62 miles of this race—his race, which he launched seven years earlier but until now had never run himself. The challenging journey that brought Charteris, 43, to this point stretched from New Zealand to California and back, spanning more than a decade. Inner demons and natural disasters tried to knock him off course along the way. Poverty, injury, failure, depression, fires, and even a cyclone all played a part in his ultramarathon crescendo. His pacers busted up laughing. At that moment, the sign struck the group as poignant but unintentionally funny. The Tarawera Ultra that Paul grew into a world-class event was ‘awesome’ indeed—but Charteris didn’t exactly look or feel that way. Powell told Charteris they needed to get a picture of him with the sign, so Charteris bent over it like a man about to become ill. But Charteris knew he needed to harness enough energy for the final 5k, because he was haunted by his outcome at the Western States 100 six years earlier. And he had to persevere because he didn’t want to let down the countless people waiting to see him cross the finish line. He had become a hometown hero in the region around Rotorua, New Zealand–where the Tarawera Ultra takes place–lauded for creating an event that draws thousands of visitors to the tourist-dependent town and inspires many to gain strength and confidence through trail running. So Charteris straightened up and got back to the business of zombie-like running through fatigue and a searing pain in his shorts—a pain caused by his decision to jump in one of the trailside lakes to cool off several hours earlier. The Tarawera Ultra—featuring 100k, 85k, and 60k distances—is widely regarded as a ‘world-class’ ultrarunning event because in 2013 it joined the Ultra-Trail World Tour circuit and began drawing top runners from the United States, Europe, and Asia. It grew from fewer than 70 runners in 2009 to its cap of approximately 1,000 participants in the 2015 edition, which saw Dylan Bowman and Ruby Muir set course records in 7:44 and 9:02, respectively. The point-to-point ultra starts in a redwood forest in Rotorua, near the volcanic Mount Tarawera, and skirts four scenic lakes while winding over hills and through ferny forests of moss-covered beech trees. It finishes in the small town of Kawerau, where Charteris grew up. Earlier in his life, circa 2000, Charteris never could have predicted that he would create such an event or develop the fitness to run that far. For a period in his late twenties, the pre-ultrarunner version of Charteris became so mired in depression, failure, and loneliness that he says he contemplated suicide during Christmastime that year. It’s hard for those who know him as a gregarious, gracious guy to fathom that he ever felt so low. “People think of him as this big teddy bear, and he always has a way of making you feel welcome and at ease,” notes Suter. But Charteris had to plow through a dark period and forge a new path. If he had not floundered and changed course, then he never would have discovered running and developed the vision for the Tarawera Ultra. An only child, Charteris lived with his mother through the late 1990s in the economically struggling town of Kawerau. His father died from an illness, exacerbated by depression, when Charteris was 17. The brainy Charteris found his footing in academia and earned a scholarship to study animal genetics at Colorado State University in the U.S. The first in his family to attend university, he left home full of pride and optimism. But the transition did not go at all as hoped. He was bored with his studies, alienated by the football-and-beer culture, and found himself chronically broke because his New Zealand dollars did not stretch far. Eventually he left the university’s program and moved back into his mum’s home for an extended period, and in that figurative hole he managed to grasp a rope to pull himself out. The rope came in the form of a job at a biotech company in Davis, California. Moving to Northern California in 2003 marked the beginning of a total transformation for Charteris, who would become known as “Kiwi Paul” amidst the trail-running community that flocked to the town of Auburn to train on the Western States Trail. In the sporty, bicycle-crazy town of Davis, Charteris started to feel and act healthier. He dabbled in triathlons and then, at age 33, stumbled into trail running when he entered the 2005 Double Dipsea—a 14-mile out-and-back race on the famously gnarly trail north of San Francisco by Stinson Beach. After the Double Dipsea, he threw himself into hiking and gradually running, and adopted a healthy diet. “I dropped a ton of weight and started really enjoying these marathon-distance hikes,” he says. Inspired by their example, he signed up for his first ultra, the 2006 Way Too Cool 50k, and a couple of months later, he finished it in a respectable time of 6:16. An unlikely ultrarunner had hit his stride and found his tribe. As Paul became immersed in the Western States Endurance Run community, he paced friend Nicholas Ham at the 2006 race. Photo courtesy of Nicholas Ham. Ultrarunners from Northern California wax nostalgic about the mid- to late-2000s. The ultra-trail running scene was taking off then and there, thanks to the media attention around runners like Dean Karnazes, author of the bestseller Ultramarathon Man, and Scott Jurek, who won Western States seven consecutive times from 1999 to 2005. But the sport was still on the fringe and relatively uncrowded. Runners knew each other’s names because they met at races and trained together, not because of the internet. “Kiwi Paul” became a fixture in the Northern California trail-running community from 2006 until mid-2008. He loved everything about it—and everyone seemed to love him. Paul and Nicholas during the 2006 Western States 100. Photo courtesy of Nicholas Ham. “It was very clear that Paul was well thought of and firmly embedded in the local scene,” recalls his friend Jez Bragg, a champion ultrarunner from the U.K. who got to know Charteris in 2008 and went on a camping trip with him the following year. Paul and Nicholas at the 2006 Western States 100 finish. Photo courtesy of Nicholas Ham. Charteris ran almost every trail race he could get to during those years and became a devotee of the granddaddy of them all: the Western States 100. He volunteered at a Western States aid station, marked the course, paced friends and, most of all, dreamed of running it himself. “To say I was emotionally invested in the race was an understatement,” he says. The chance to run Western States finally came when he gained entry in 2008. But early in that year, he upended his life by quitting his job. Being a foreigner, Charteris had to leave the country when he left his job, so with little money but a big desire to run, he went on an ultrarunner’s dream road trip: He drove down to the fabled Copper Canyons in Mexico with “Barefoot Ted” McDonald, who became a central character in Christopher McDougall’s 2009 bestseller, Born to Run. Charteris spent two months running around remote parts of central Mexico with Barefoot Ted and others, becoming steeped in the culture of the ultrarunning Tarahumara Indians and getting into the best shape of his life. He ran the Ultra Caballo Blanco Copper Canyon 50 Mile in a time of 10:23. Everything, it seemed, was on track for a strong 100-mile debut at Western States. But then devastating clouds of smoke appeared on the horizon. With a sense of dread, Charteris and his friends who reunited in Squaw Valley for the start of the 2008 Western States followed the news of raging forest fires that moved closer to the trail and dangerously polluted the air. Together, they absorbed the somber announcement that, for the first time in the event’s 35-year history, the race would be canceled. Charteris focused intently on organizing the first Tarawera Ultra, with an 80k and 60k option, for March of 2009. (He introduced the 100k the following year.) The Western States 100 experience had given him an unshakeable vision for an ultrarunning event that would inspire the growth of trail running in New Zealand and gain international acclaim. The first Tarawera Ultra attracted 67 participants and was a hit to those who ran it. “Paul’s passion to share what he calls an ‘American-style’ ultra in magic New Zealand scenery was plainly a recipe for success,” says Suter, who won the inaugural Tarawera and first met Charteris there. Right after putting on his first ultra, Charteris had to scrape together enough dollars to get back to Northern California, since all those who couldn’t run the Western States due to the 2008 forest fire earned automatic entry for the following year. At the time, he was subsisting on leftover Tarawera aid-station food and living in a barely furnished house. He finagled a small bank loan to pay for a plane ticket to California in April, giving himself three months on a tourist visa to train to finish the Western States 100. Like a kid on summer break who gets to go back to a favorite camp, Charteris returned to Northern California and spent several blissful weeks training. He ran a 50 miler on Mount Diablo, road-tripped and ran with Bragg around Nevada and Yosemite, acclimated for the heat, and circled back to Squaw Valley in peak condition. The 2009 edition of Western States started exactly as he hoped. “I was having a dream run, just carving through the field. I was so well dialed into that race,” he says, recalling his sub-24-hour pace. He ran through the pain and limped into Foresthill aid station at mile 62. There, he met up with the legendary Gordy Ainsleigh, the first ever to run Western States in 1974. Ainsleigh, who had DNF’ed at Foresthill, proceeded to give Charteris some well-intentioned bodywork—“he put me in all manner of bear hugs, but that didn’t really help”—and then sent Paul hobbling off toward the next aid station. “The field was just streaming by me. I couldn’t run, so I was walking,” Charteris says. The famed river crossing provided temporary relief, so he kept limping ahead and made it through the Green Gate aid station at mile 80. Then his leg simply ceased to function, as if it had a will of its own and went on strike. Charteris lost mobility around mile 83. Sitting by the trail while waiting for assistance, Charteris glimpsed the glow of floodlights 17 miles away that illuminated the Auburn track where the Western States finish was taking place. “The sun was coming up and birds were starting to sing,” he says. “I put my leg up and watched the final runners go by. I just sat there and gave encouragement to everyone. They’d say, ‘C’mon man,’” but Charteris couldn’t move. Those 83 miles stand as the farthest distance he’s ever reached in a race. Paul running strong in the first third of the 2015 Tarawera Ultra. Photo courtesy of Paul Charteris/Tarawera Ultra. Recurrent injury plagued Charteris for the next five years, from 2009 to 2014. He virtually gave up on running, and as his fitness dropped, his weight ballooned. Only one thing motivated him and provided an outlet where he could channel his ultrarunning passions and develop relationships with kindred spirits: growing and directing the Tarawera Ultra. “It was always something to look forward to each year, but also immensely stressful,” he says of Tarawera’s growth through 2013, when the number of entrants steadily increased to 450. He landed a job as a science writer for a forestry-research institute and used his salary to subsidize the Tarawera Ultra, investing any profit he made into improvements and promotions for the following year’s event. The biggest—and smartest—investment he made, starting in 2013, was offsetting the travel and entry costs of a select group of competitors from overseas, to attract them to run his race. 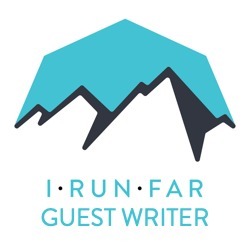 That year, because of the increased international competition, iRunFar also began providing live coverage of the Tarawera Ultra. This combination of factors marked a turning point for the event because it put the race on the map internationally. In 2013, the elite field included Sage Canaday and Timothy Olson. Unfortunately, right at the same time when the ultrarunning community focused its gaze on Tarawera in 2013 and 2014, the weather dealt Charteris back-to-back blows. First, the threat of wildfire forced Charteris to re-route the course in 2013. Then, like a bad joke, a raging cyclone appeared offshore just before race day in 2014. Charteris felt enormous pressure to pull off a successful race, in part because the New Zealand government had granted him $300,000 over three years. The government’s grant came from its Major Events Investment Fund to boost events that benefit the country by promoting tourism and showcasing its scenery and culture. He used part of that money to join the Ultra-Trail World Tour circuit, which promoted Tarawera Ultra globally and attracted more competitors and visitors from overseas. But the weather forecast for race day in 2014 looked catastrophic. The storm’s winds would whip up waves on the lakes and make the remote aid stations, which volunteers reach by boat, inaccessible. “I was just devastated I couldn’t give people the race they wanted,” Charteris recalls. Faced with canceling the event the day before the start, and reliving his personal nightmare when Western States was canceled, an ashen Charteris turned to his friend and right-hand man, Tarawera’s volunteer coordinator Tim Day, of Rotorua. Day saved the day. At 5:30 p.m., 13 hours before the start, Day mapped out a way to address the cyclone’s safety threats but still hold an event by re-routing and shortening the course to 73k (45 miles). Then Day headed into the dark forest, along with Suter and one other helper, to spend most of the evening re-marking the course. It was this sleep-deprived and emotionally spent Charteris who took the stage with Day, his volunteer coordinator, for the awards ceremony after the cyclone-shortened race. The crowd gave Charteris and Day a standing ovation for managing to pull off a race in spite of the storm threat, which brought Charteris to tears. Then Day, standing next to Charteris on a stage and holding a mic, delivered a surprise that caught Charteris completely off guard: Day publicly offered to handle the race-directing duties in 2015 so Charteris could focus on running the Tarawera Ultra himself. When Day said, “You’re running this next year,” Charteris says his first thought was, “Tim, you wanker, because I thought it would be impossible” given the poor physical shape he was in. To an emotional crowd at the 2014 Tarawera Ultra awards ceremony, Tim Day (left) issues Paul a surprise challenge for 2015. Tim would manage race-directing duties if Paul ran his own ultra for the first time. Photo courtesy of Paul Charteris/Tarawera Ultra. But with hundreds in the room cheering and wiping away tears, Charteris was on the spot and could hardly say no. And it was. Charteris made significant changes that enhanced his health in the months that followed. He quit his job to devote himself full time to race directing and getting back in shape. “A big part of why I quit my job was thinking, How can I make a difference in other peoples’ lives? Putting on events that help people gives me the ‘biggest bang for my buck’ in making a difference in the world,” Charteris says. He also launched a companion race—the Tarawera 50k and Marathon—to be held annually in November, and he moved the date of the main Tarawera Ultra from March to February to reduce the chance of weather-related crises. By February 7, 2015, Charteris was in good-enough shape to toe the line of his 100k, the farthest distance he faced since dropping out from Western States. Charteris was so focused on coordinating the race and hosting friends for the 2015 event that he arrived at the starting line barely ready. He publicly welcomed the runners, watched ceremonial Maori dancers build the energy at the start line, and then with one minute left in the countdown, he realized his mistakes: he forgot to fill his water bottles, forgot to visit the portaloo, and even forgot to tie his shoelaces. “I was the worst-prepared runner ever,” he says. Once he started running, he felt elated yet anxious about the event’s organization. Finally he let go of his worries about whether an aid station had enough food or whether the course markings looked perfect. The crowd thinned out around the 45k point, and he found himself running alone through the dense, verdant forest along Lake Okataina. Paul runs amongst the large crowd in the first few miles of the race, before the pack thins out. Photo courtesy of Paul Charteris/Tarawera Ultra. He crossed the finish after 16 hours and 15 minutes to the cheers of countless supporters who waited into the night to see him complete his journey in his hometown. A lot of trail runners around the world have been positively influenced by Paul Charteris, as a friend, as a companion on the trail, and as a race director. It’s time to toast him! Leave a comment to share your story. Paul triumphant after finishing the 2015 Tarawera Ultra in 16 hours, 15 minutes. He receives a warm welcome, since the finish line is in his hometown of Kawerau. Photo courtesy of Paul Charteris/Tarawera Ultra. I don't know Paul personally, but I'm very glad to know his story. Depression is a SOB that affects many distance runners (and non-distance runners too). I am so glad that Paul was able to get back in shape and finish his own race! Paul I wish you a very wonderful future!! Paul is a real class act and a top notch guy all around. He has a true passion for the sport and it really shows when you experience Tarawera. Paul has had a huge positive influence on so many already and continues to inspire with his vision, leadership and generosity. Thank you for all the positive comments. I want to share how I first met Paul. It was in 2009, when I first got on Facebook, and our family was traveling around New Zealand. I only knew Paul virtually, as a friend of a friend and on Facebook, so with some shyness I reached out to him through Facebook and asked, could he possibly suggest some trails and sites to see around his hometown? Paul's response epitomizes the friendliness that New Zealanders are famous for. He invited my family and me over to his house, he took the whole day off from work to show us around, and he took us hiking and swimming around Tarawera Falls. Then he introduced us to other friends of his who subsequently loaned us their house! I was blown away by how warm and welcoming he was. I was so grateful to be able to run his race and reconnect this past February, and even more grateful that he opened up to share his story. Really loved this article!! Paul's story really resonated with me! I've battled weight and depression often and it's very inspiring to read about someone who is winning that fight!! I had heard of Tarawera before but now want to put it on my calendar because of this article and the obvious love that Paul puts into the event!! That was an extensive piece of investigative journalism! Great read Sarah. You really captured Paul's almost philanthropic approach to event management. His love for the trails and the people he shares them with resonate throughout this article and you've reminded us all about Pauls passion and enthusiasm to provide a truly special running experience. Kinder words could not be written about the man and I hope everyone gets an opportunity to experience his famous hospitality. Thanks so much for your beautifully written article Sarah and to Bryon and Meghan for helping get the message out there. Plus – thanks to my friends for their (sometimes) smartass comments in this piece. Western States, to me, is, and always will be, the beautiful race. It's the event that gave me a new lease on life, a positive goal to strive towards, a welcoming and supportive community, wonderful terrain to explore and canyons to mash my quads. To say this one single event has transformed my life is no understatement. Western States has done more for me than I can ever express in words. I am one of the very lucky and privileged few. I got to pay it forward and give many people in New Zealand a similar sort of experience. And, I am so grateful for that. If anyone running Tarawera gets as much out of that event as I have from Western States – then my job is done. All the best to everyone involved in Western States. Paul is as solid as they come. Good dude with a huge heart. Met one of my favorite friends, Matt Keyes, through Paul while we were all prepping for WS in 2009. Great story. Ran Tarawera as my first ultra this year. Paul's unfettered dedication to the race is amazing. He went to great lengths to answer everyone's questions online – even the absurd rambling questions of nervous runners in raceweek! Thanks, this is a great read about a great guy. I still remember the day that Paul started work at that 'ominous Forest Research institute' in Rotorua. The whispers started going around that 'THAT guy who organizes those Ultramarathons and does this barefoot running thing' has started work with us…he was famous already ;-) The first time I met him was at our annual Run around the Perimeter Fenceline, the "Prisoner Dash". Paul showed up dressed up as a Prisoner, in handcuffs and barefoot and ran the whole run like this. From that day I knew he was alright. Paul managed to drag me into helping with the event and I've been involved in some form since the second year of the race – where we manned the Okareka aidstation, back then only equipped with two tables and two volunteers!! I am still amazed where this race is now, all because of Paul's passion and vision. When Paul left Scion, I only admired him for being gutsy enough to do so and pursue his dream. Its so much easier to stay in your comfortzone and permanent job, but he didn't.